Home > Buyer’s guide > Search for "Specialty Feed"
Cole\'s Wild Bird Products Co. - Elaine / Sindy - Only for independent retailers � Full and complete line of the absolute highest quality wild bird feed and suet products, including our famous Cole�s Hot Meats and Cajun Cardinal Blend. Now barrier packaged for guaranteed freshness and no bugs. Duncraft, Inc. - Michael Dunn - America\'s only squirrel-proof platform feeder. Highest quality squirrel-proof & squirrel resistant bird feeders on the market. Globes, Windowpane, Havens, Selectives, Cattail, Stocking and Squirrel-Blocker feeders. Wide selection of window decals. Pine Tree Farms - Michele Griego-Stillions - Pine Tree Farms, Inc. Making quality wild bird food products to attract your favorite backyard feathered friends. 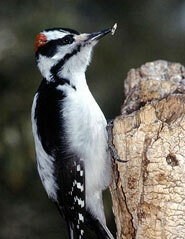 We encourage \"feeding for all seasons!\"
Wildlife Sciences - Bill Gleason - Innovative suet products. Featuring unique Suet Balls and Suet Plugs. Makers of Suet Plus, the suet cake in the candy bar wrapper, award winning packaging. 2010 Environmental Package of the year.